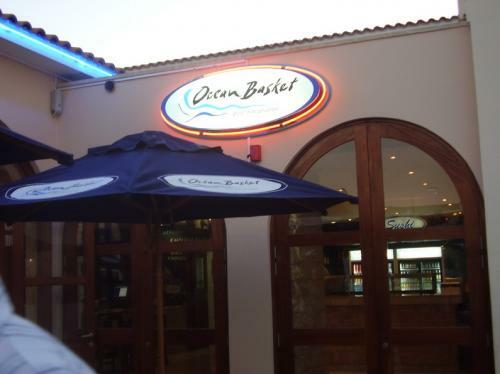 Ocean Basket is a South African seafood-theme chain restaurant. 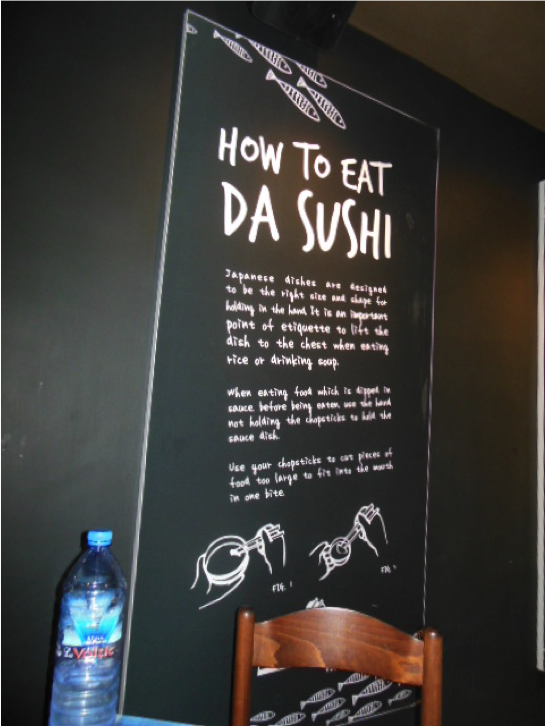 They recently opened a branch in Victoria Island, and on a day where I craved seafood and my friend craved sushi, this was the recommended place to try out. Food: Note – do not place orders when you are hungry, otherwise you will order too much food. 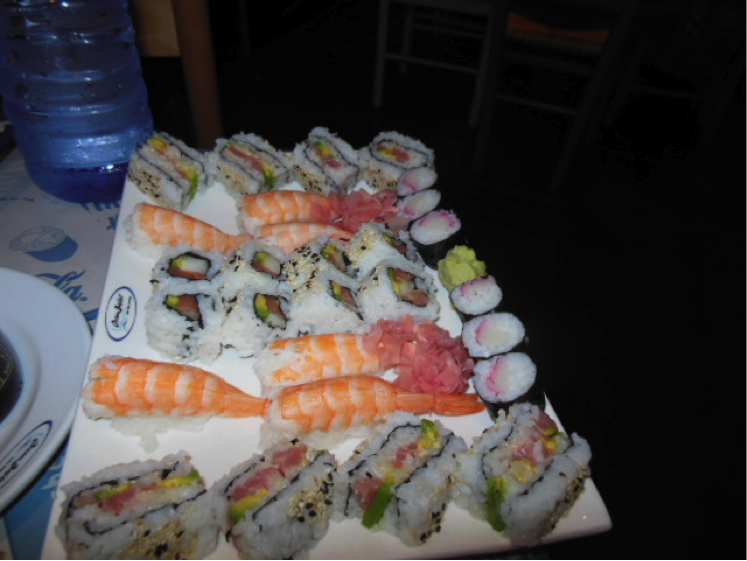 We decided to split the Seafood Platter for Two, as well as one of the Sushi Platters for Two. Needless to say, by the time we were done with the Seafood Platter, we were soooo full, we had to box up the sushi. I really enjoyed the fries, fish, calamari and squid heads part of the platter. I don’t like mussels, so I didn’t eat it, but my friend liked it. You have to make sure they give you the Sweet Chili sauce, which I think should replace Ketchup as a mainstay condiment. The manager was nice enough to give us the bottle of Sweet Chili sauce! My 2 sources of contention would be that we had to wait 30+ minutes for the food to arrive (our waitress let us know beforehand); but when the food came, it wasn’t hot. I don’t particularly like hot food, but cold fried seafood just isn’t appealing. Also, the bread was boring. Ambiance/Décor: LOVE! I would visit over and over, if only for the décor. It’s similar to a Joe’s Crab Shack (US). There are two floors, and you can sit on the balcony as well. If you wanted to have a semi-private room, there’s a sectioned off space with a few tables. 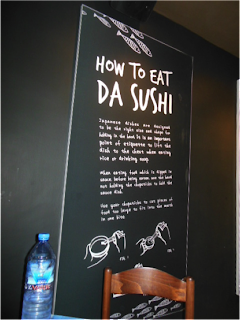 I particularly liked the table mats and wall instructions on how to eat sushi and other stuff – FUN ATMOSPHERE to say the least. And it’s great that there’s parking inside! You hardly get that in Lagos. Service: The wait staff was friendly and courteous. However, we had to look for our waitress more than twice because she’d disappeared. It would have been better if she was more attentive. 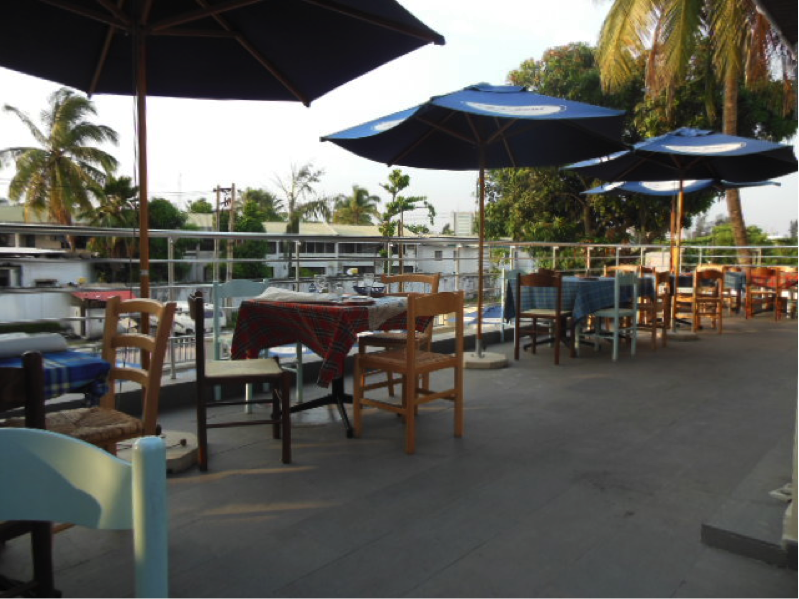 Overall Value: Dishes start at about N2000 and go up to N12000 for family platters. The sushi ranges from N1100 to N5000. 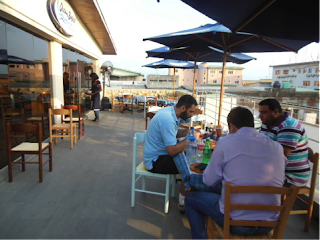 Given that we were full after the Seafood Platter for 2, which cost a little over N6000 I would say that we got what we paid for. It’s just a tad pricey. It was a lovely Sunday afternoon and my family decided to have brunch out. I got to pick the spot to eat because I had passed some exam I wrote (can’t remember which). 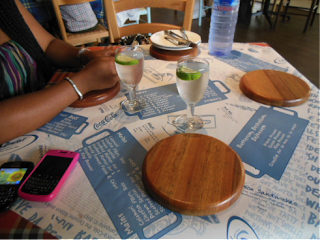 Being a sea food advocate (fanatic is too harsh a word), Ocean Basket was on the tip of my tongue. I heard about it from a friend. We got dolled up.. My dad, mum, cousin, little brother and I. The drive took about 15 minutes as we were coming from Lekki. The welcome greeting was warm and the ambiance of the decor was very calming. We decided to sit out on the deck, why waste such beautiful weather indoors? 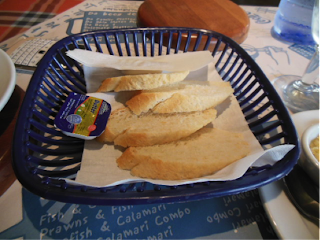 We got the complementary on-the-house bread but it took so long in arriving I figured it was just getting baked. Also we got just 4 pieces of bread for a group of 5 and had to ask for more. My little bro who is going through the “bread is the only food” phase wanted to cry for more but a look from me shushed him up. 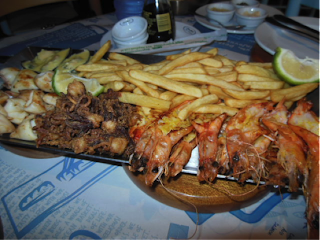 Ain’t nobody gonna rain on my parade :D.
The manager of the establishment along with a waiter came to take our order and advised us on the family platter containing line fish, calamari, king prawns and a side of chips. We ordered extra prawns as we were a hungry bunch and also a pack to take home for my sister who couldn’t make it. We waited 20-30 mins for our meal and were sipping on Chapman (quite pricey) and chatting about other patrons. The food arrived and I was like OMG! The platter was beautiful! I totally cleared my plate and helped my mum to some of hers. We were billed about #20,000 and it was totally worth the experience. The highlight of my evening was that while downstairs waiting for the pack, BANKY W waltzed in! He just walked in. Double OMG! I have a massive crush!